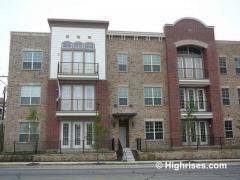 Versailles Condos is an exclusive luxury building located in downtown Fort Worth. The building consists of just 6 residences ranging from 2,230 to over 3,200 square feet, each of which features sweeping views of the Trinity River and Panther Island. Residents enjoy the central location which is just steps from Sundance Square and offers easy access to major freeways. Have any comments or questions about Versailles Condos? Ask your question and/or share your thoughts about this Building.